Discover and experience Rotterdam with a city walk, a bike tour or a custom tour. The guides of City Rotterdam Tours show you the best of Rotterdam! The best way to discover Rotterdam is via a private walking tour. We offer a wide range of walking tours varying from Highlights Centre, Architecture, Historic Delfshaven, Oude Noorden, Fire Line Boundary to complete tailor made tours. 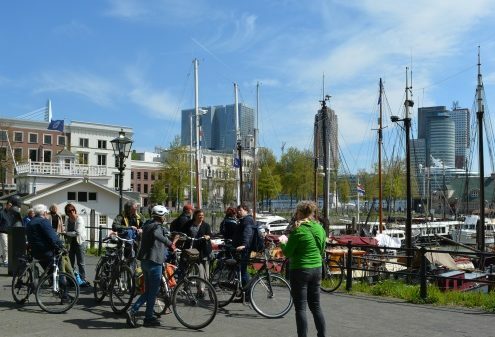 A private bike tour is a perfect way to see several interesting districts of Rotterdam. 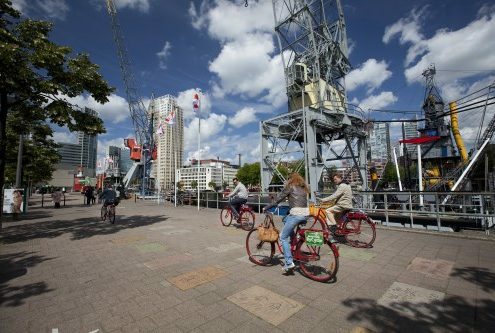 If you want to see the best of Rotterdam we can recommend our Bike Tour Rotterdam Highlights. 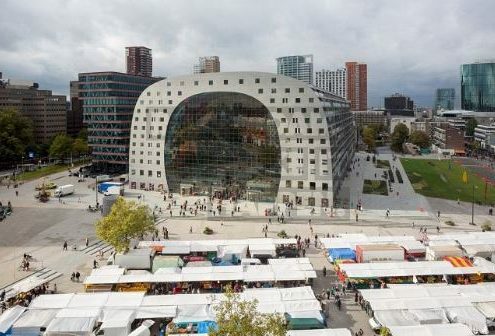 For architecture fans our Bike Tour Rotterdam Architecture is a must do. With our guided tours you can also visit specific buildings or some particularly areas under the guidance of an experienced guide. 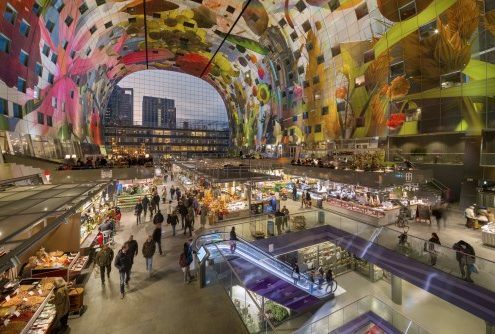 Examples are our Guided Markthal Tour and the Guided Port of Rotterdam Tour, recommendable both for private individuals as business. On Saturday we organize a beautiful city walk in the centre of Rotterdam. 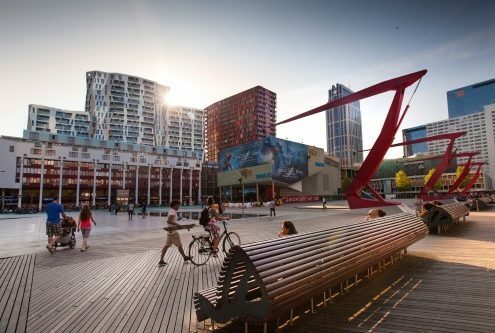 Together with a city guide you will visit the highlights of the centre of Rotterdam. We visit the old harbours, the Cube Houses and the Markthal. For this open walking tour we have a fixed price per person (€ 15 p.p.). Are you looking for an interesting company outing with a special theme? Or do you visit Rotterdam as professional concerning architecture or history? Or maybe you’re planning a school trip? Based on your interests we craft a unique tour for you in Rotterdam.